Each frame 25 x 32 in. Hiroshi Sugimoto is a master of photography as a conceptual art form. 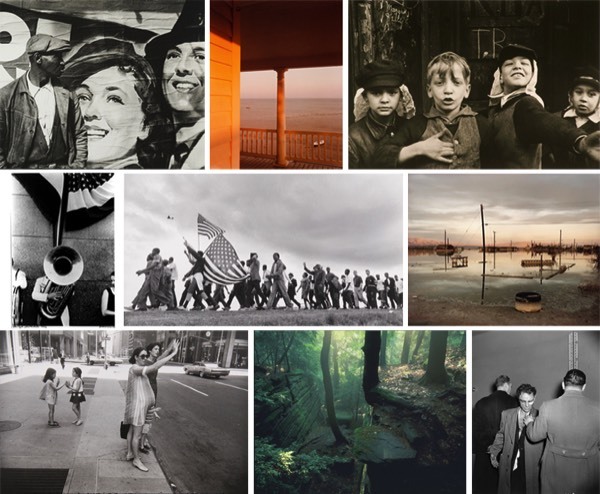 Over the past thirty years, he has worked with only a handful of subjects, including movie theaters and seascapes. Each series starts with an idea and develops through repetition. Sugimoto began investigating the sea in 1980 and it continues to fascinate him as “the most unchanged scene on the surface of the earth.” He has traveled to remote oceans and lakes worldwide to capture his images, using a large view camera and black-and-white film that allow for subtle tonal gradations and fine detail. Whether the weather is foggy or clear, the scenes are always calm. From a distance, the Seascapes could appear to be abstract paintings exploring formal variations. 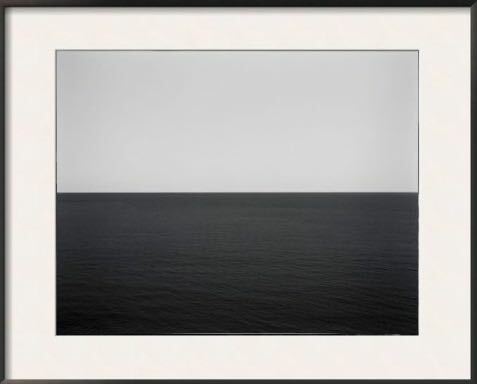 The horizon line, always at the center of the composition, divides each frame into dualities—air and water, top and bottom—except when, in Zen fashion, the fog unites dark and light into a single gray pane. A closer view reveals variations in the patterns of the waves and the density of the air. Sugimoto’s observation that “using the same materials, water and air, I just amaze myself at how I see things differently and anew” aptly describes the experience this group of photographs offers. Hiroshi Sugimoto was the 1997 recipient of the Knight Purchase Award for Photographic Media, which recognizes the achievements of a living artist who is making major contributions to the fields of photography or video by funding a significant purchase of their work for the Akron Art Museum collection. The Akron Art Museum purchased eight of the artist’s Seascapes from Sonnabend Gallery in New York the following year.